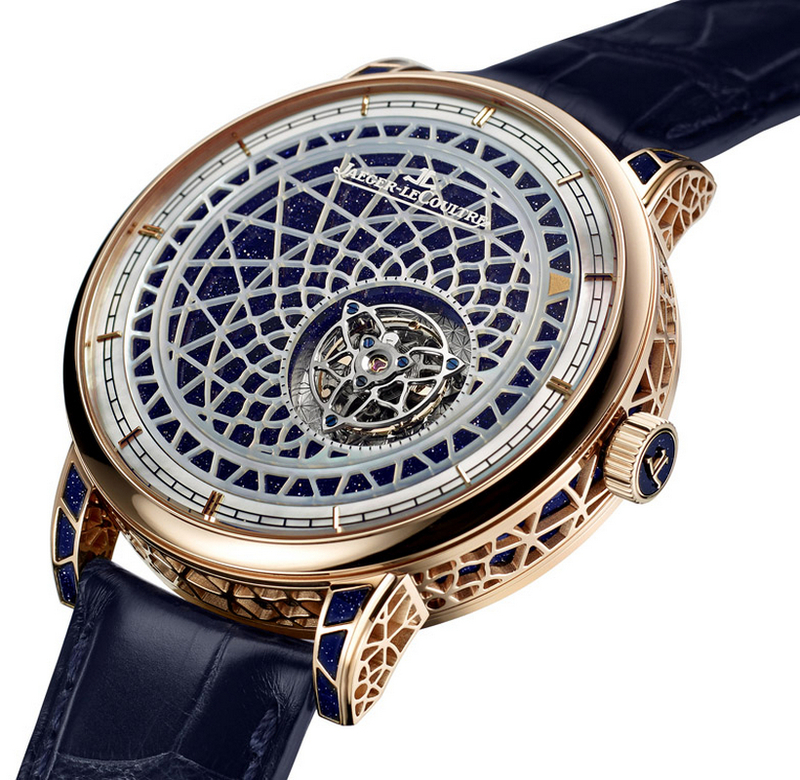 Take a look at the Jaeger-LeCoultre’s newest creation, a ravishing timepiece called Hybris Artistica Mystérieuse. 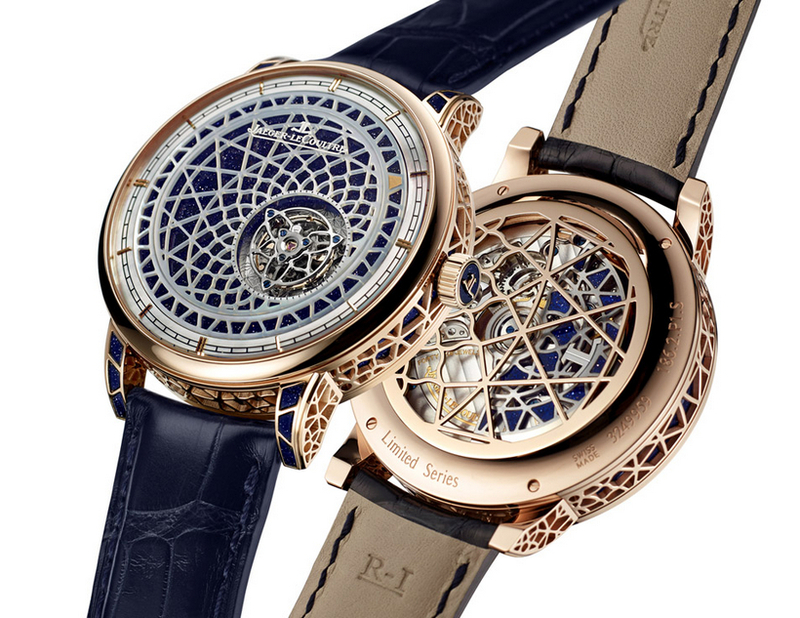 Set to adorn only 5 lucky wrists, this eye catching watch is just another example that the virtuosity and artistry of Jaeger-LeCoultre’s Rare Handcrafts (Métiers Rares) knows no boundaries, as you can easily see. 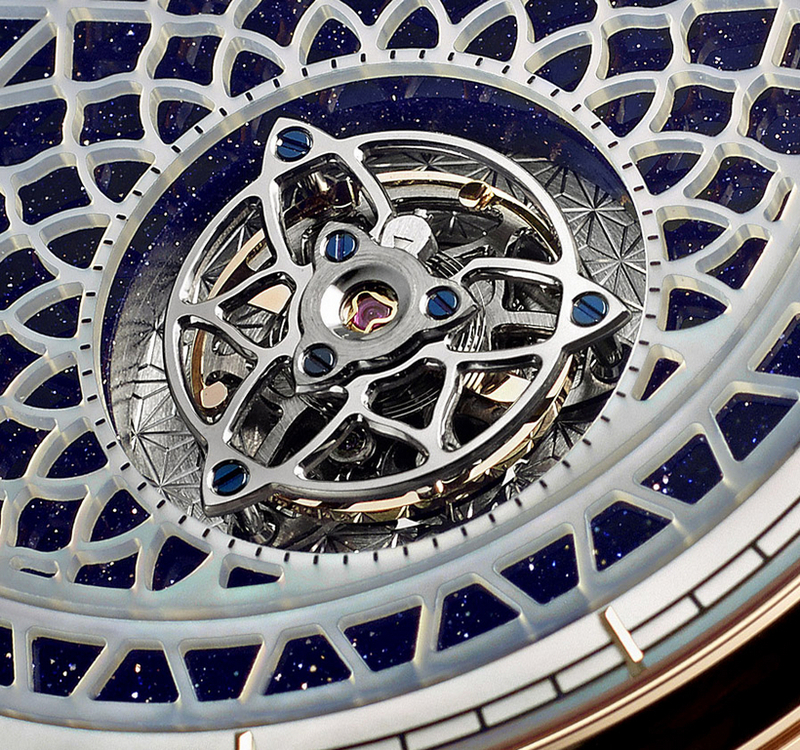 The watchmaker’s incredible Hybris Artistica collection seeks to combine mechanical excellence with artistic inventiveness, with this watch boasting an orbital flying tourbillon, that’s considered one of the most prestigious complications. Of course, you can’t ignore the original design and the exceptional decorations either, and please note that the mother-of-pearl applied on the dial is not the only skeletonised element at this watch, the rotor also benefiting from the same treatment. 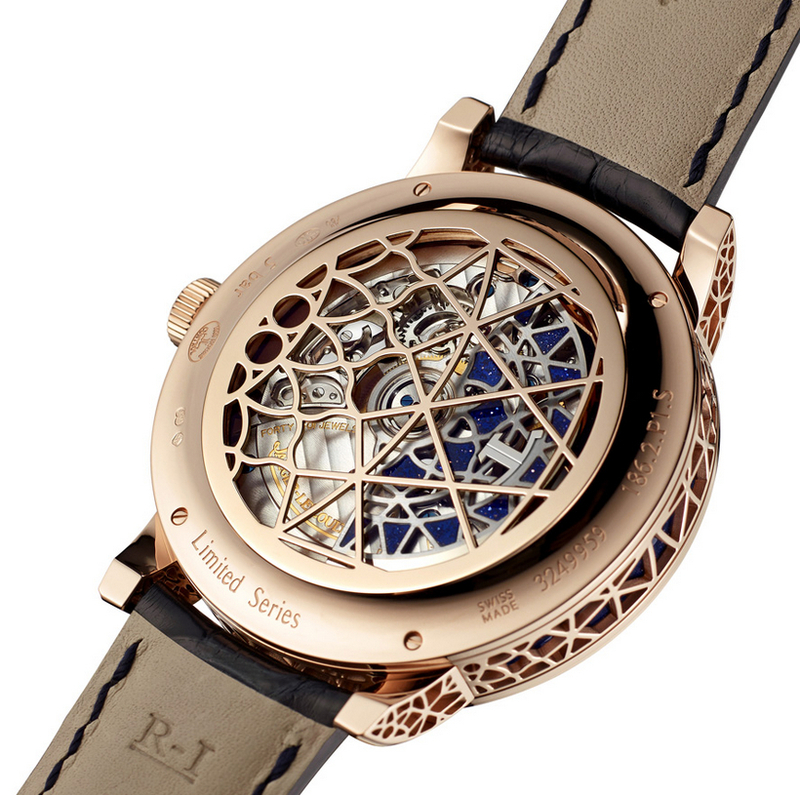 Showing off an amazing 18kt rose gold 42 mm case, that’s also skeletonised and features Aventurine on its lugs, this watch comes with double sapphire crystals and it’s apparently able to handle 50-meter deep waters. 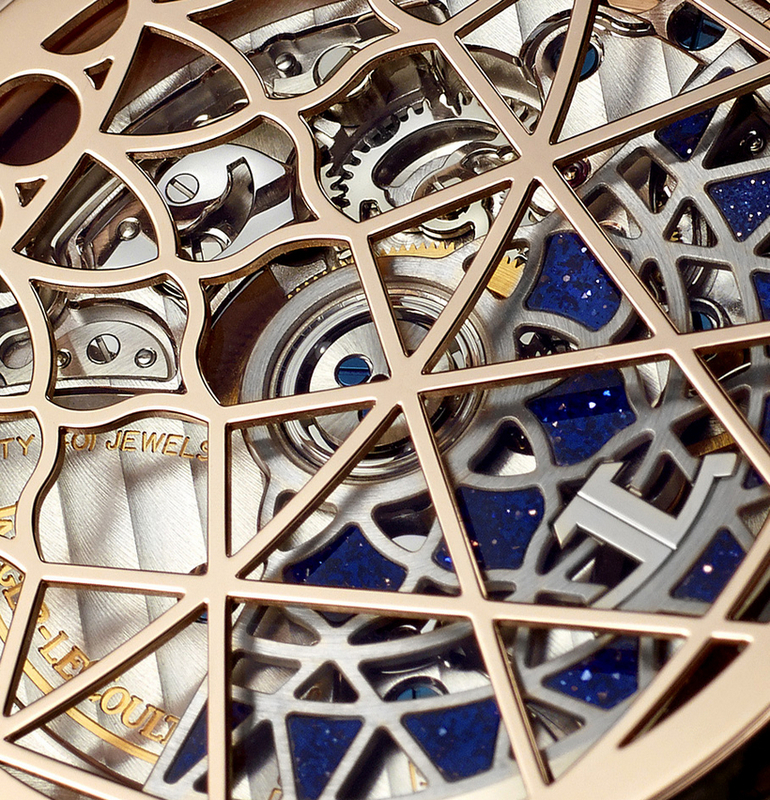 Movement is provided by the Swiss automatic Jaeger-LeCoultre caliber 941, meaning 49 jewels, 28,800 vph and a power reserve worth about 50 hours. Finishing everything off is a black leather strap, with an 18kt rose gold skeletonised folding clasp. Price tag is unknown at the moment. And also we would recommend you to check more black watches. I guess it would ruin the whole effect if you could actually tell the time with it?